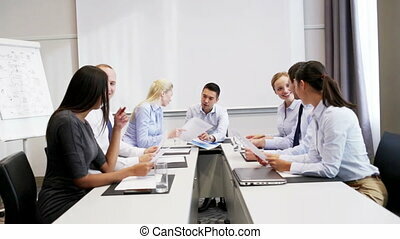 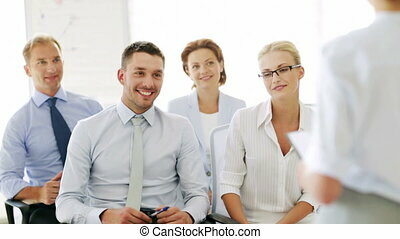 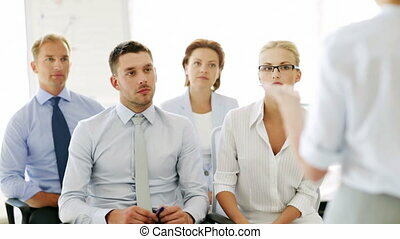 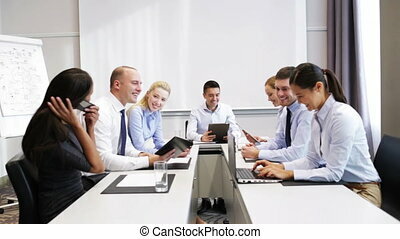 Smiling business people meeting in office. 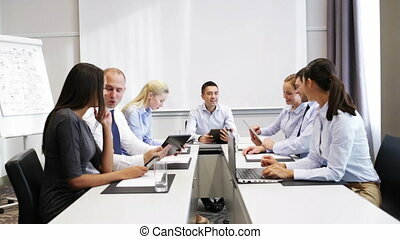 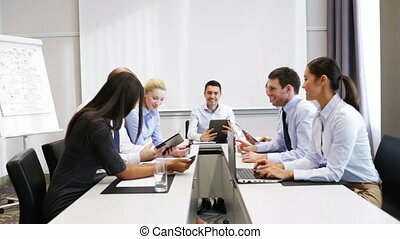 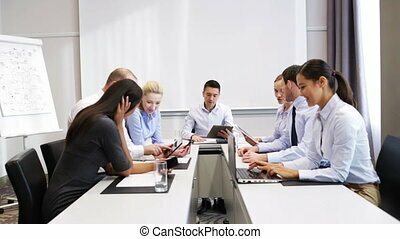 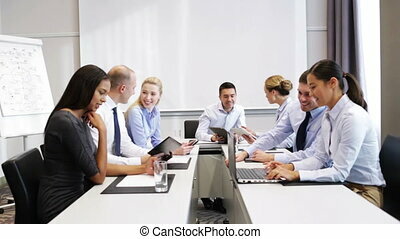 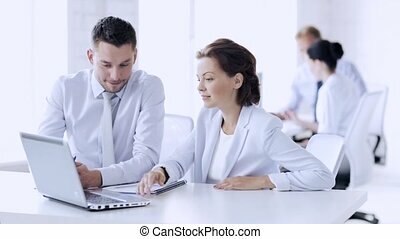 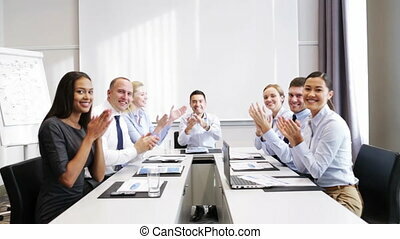 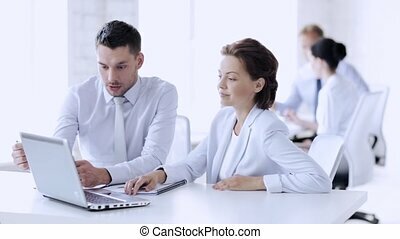 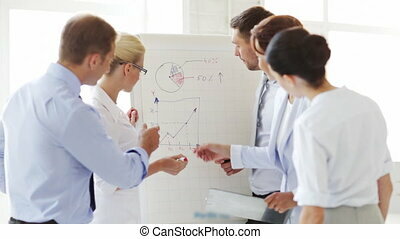 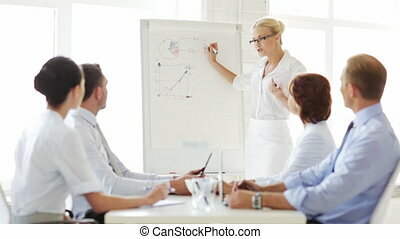 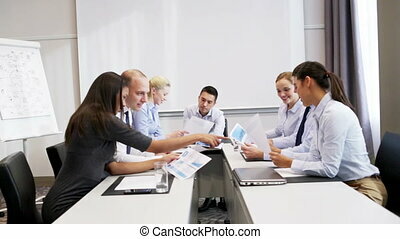 Business, teamwork, people and technology concept - smiling business team with laptop computer, papers and smartphone showing triumph gesture in office. 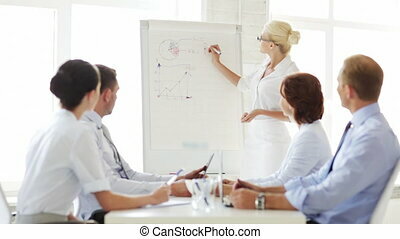 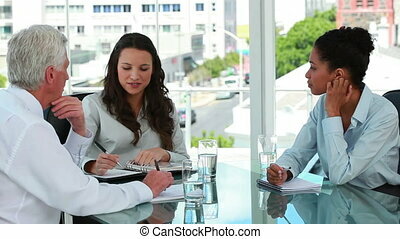 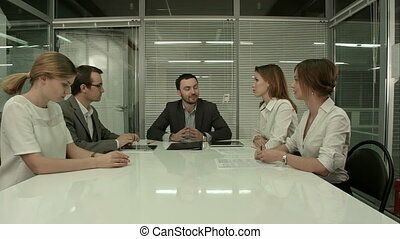 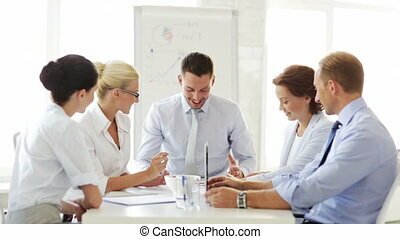 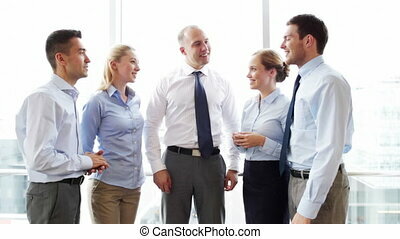 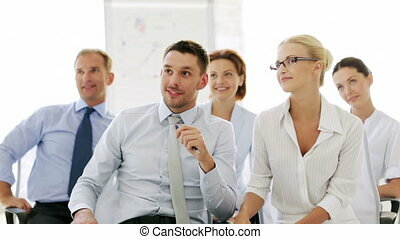 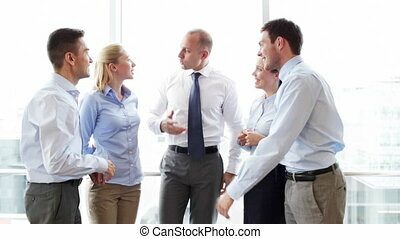 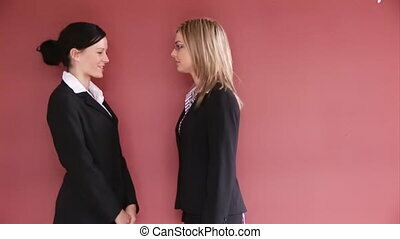 Business people talking in office after work, smiling.